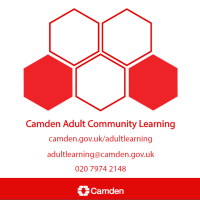 All courses are for adults aged 19+ and give priority to Camden residents. Some classes are for particular groups, for example, parents and carers. We offer courses in computing, English, work and volunteering and family learning. Some classes have a free crèche – subject to demand.